“From when I was very young, I was surrounded by expressions of beauty. As far back as I remember there were colorful and intricately designed baskets, pottery, rattles, bow and arrows, weavings, beadwork and Katsina dolls accenting all the households of my family. There was an abundance of colorful regalia for ceremonial and social dancing and singing, in which my family and I still participate. This exposure has helped me to appreciate the beauty and aesthetics of my people. 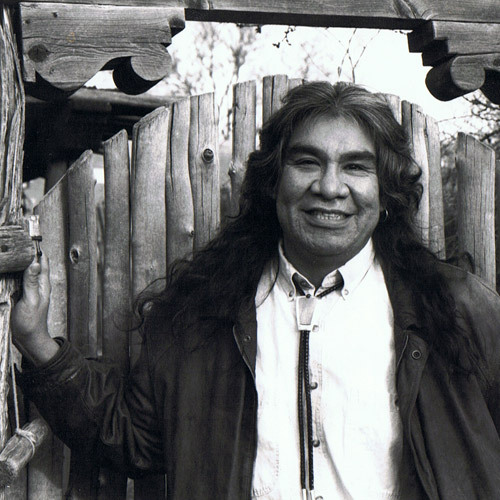 My own search for expression brought me to look to what had always influenced me and many other Native Americans, that being the inseparable interweaving of the lifeway of Indian People and their spirituality.” D.L. 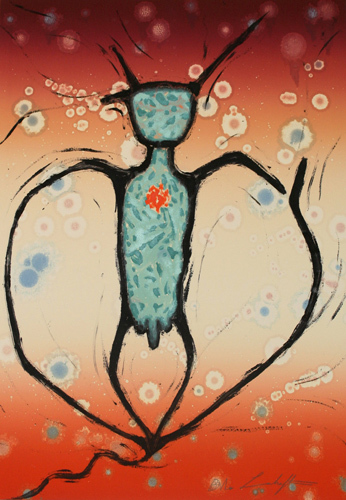 Dan Lomahaftewa was the first Native artist to have a solo show at RAINMAKER. His generosity of spirit and desire to share and embrace the world around him led him far beyond his ancestral homeland. His magical paintings and passion for cultural exchange earned him awards, grants and fellowships to exhibit and travel extensively in Asia, Europe and the Americas. Dan passed away in 2005. These remaining artworks are offered for sale on behalf of his family. With conflicting emotions, and for the last time, I have the honour of inviting you to share his, unique, extraordinary and magical talent.